Funky First Grade Fun: Chocolate Milk, Por Favor! Blog Tour and Giveaway! Chocolate Milk, Por Favor! 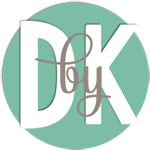 Blog Tour and Giveaway! 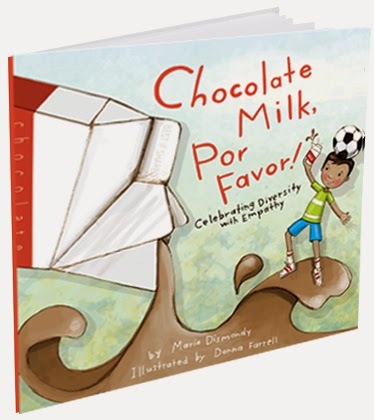 My favorite author released her newest book, Chocolate Milk, Por Favor! 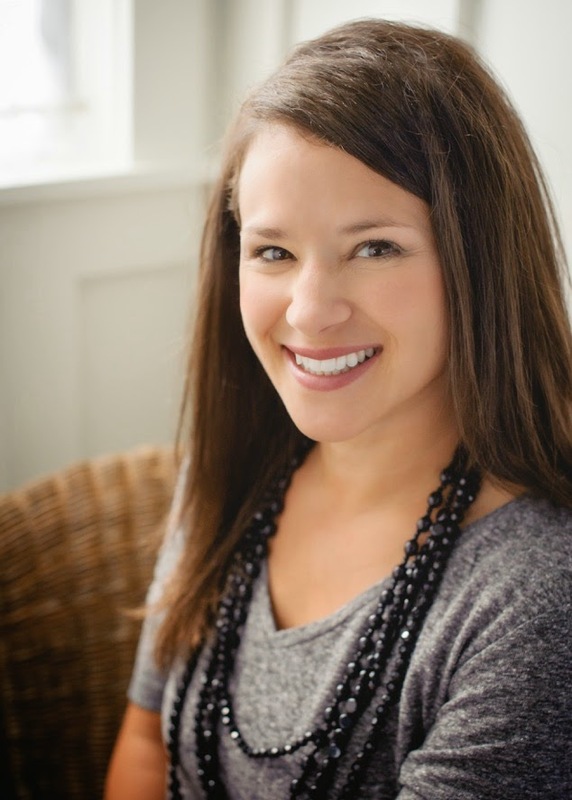 Maria Dismondy is an award winning author, a former teacher and a mom who writes books that empower others and encourage us to celebrate diversity. I've known Maria for a few years and have had the pleasure of hearing her presentations several times in my school. My own children have also been empowered by her message when she visited their schools. 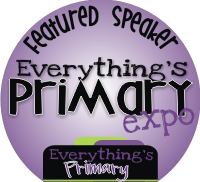 She is a fabulous presenter and I can tell you from experience that her positive message sticks with children and adults. I've read and enjoyed all of Maria's books in my classroom and at home with my own children. Her new book is the story of a two boys, Gabe and Johnny. Gabe speaks a different language than the other students in his new school and Johnny struggles to accept Gabe at first. Throughout the story, Johnny learns to celebrate diversity with empathy. Chocolate milk plays role in the story as well! Chocolate Milk, Por Favor! sparked conversations at our house about important topics like ways we can make people feel welcome, getting to know more about people to honor the differences among us, celebrating diversity instead of pretending we are all the same and having empathy for others. In our family, we want our children to do more than accept others. We want them to learn from each others differences, accept each other without the expectation that we should all be the same and encourage others to be the best they can be. I tried to teach the same to the children in my classroom. Chocolate Milk, Por Favor! 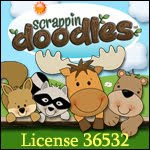 is a book that I will definitely be recommending to teachers and parents for years to come. 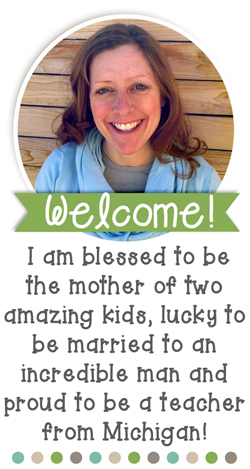 I have a great deal of respect for Maria Dismondy's work and the positive messages she shares. 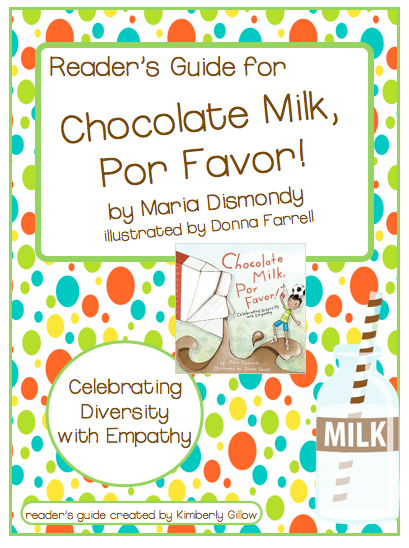 I am honored that she asked me to create a reader's guide for Chocolate Milk, Por Favor!. The reader's guide includes activities that are aligned with the common core standards (but will work with any standards) for teachers and parents to use as they enjoy the story together. You can read more about this book (and her other books) and download the reader's guide for free on Maria's website by clicking on the image below. 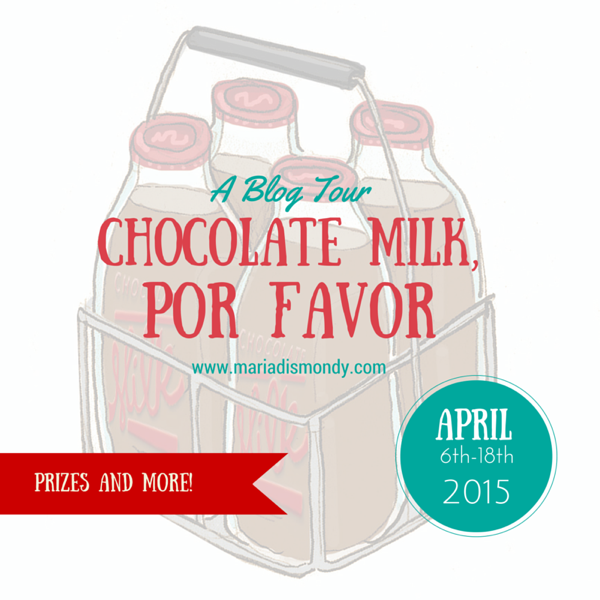 As part of the blog tour, Maria is allowing me to giveaway a signed copy of Chocolate Milk, Por Favor! to one lucky winner! The giveaway ends on April 11th at midnight. Looking forward to filling our shelves and our hearts with more of your stories in the future! This looks like another fantastic book from Maria! Thanks for the giveaway. I hope to win.